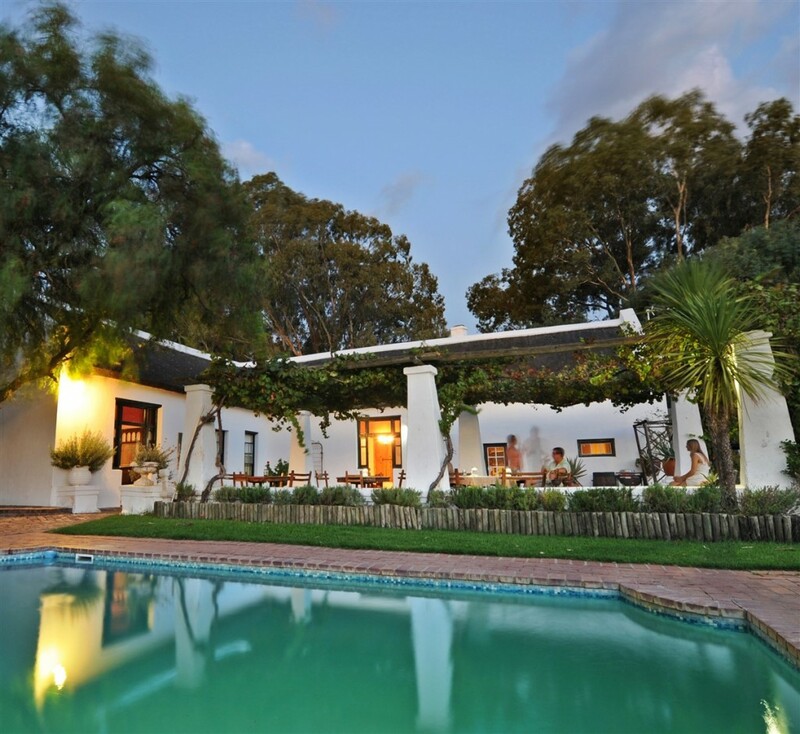 Aan De Doorns is a historical, thatched Cape Dutch farmhouse build around 1860 with en-suite twin and family bed rooms, offering warm hospitality in tranquil “farm-living” setting. All guests have access to cooling facilities, icemaker and filtered water on tap or a gas braai on the patio weather permitting. 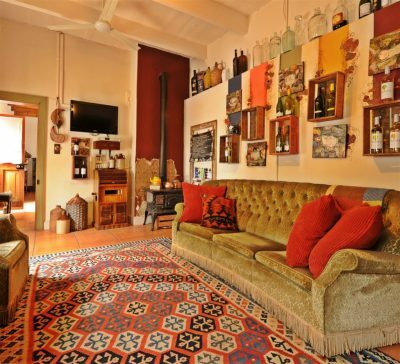 Our TV/tasting room has a welcome Dover stove or a log fire in the breakfast hall for warm comfort on winter days. The swimming pool, hammock, patio under vines and garden makes the living easy in summer time. Our location 7km from Worcester on the R43 Villiersdorp road offer magnificent views of the surrounding mountains and spectacular sunsets to be enjoyed with local wine (27 cellars in close proximity). 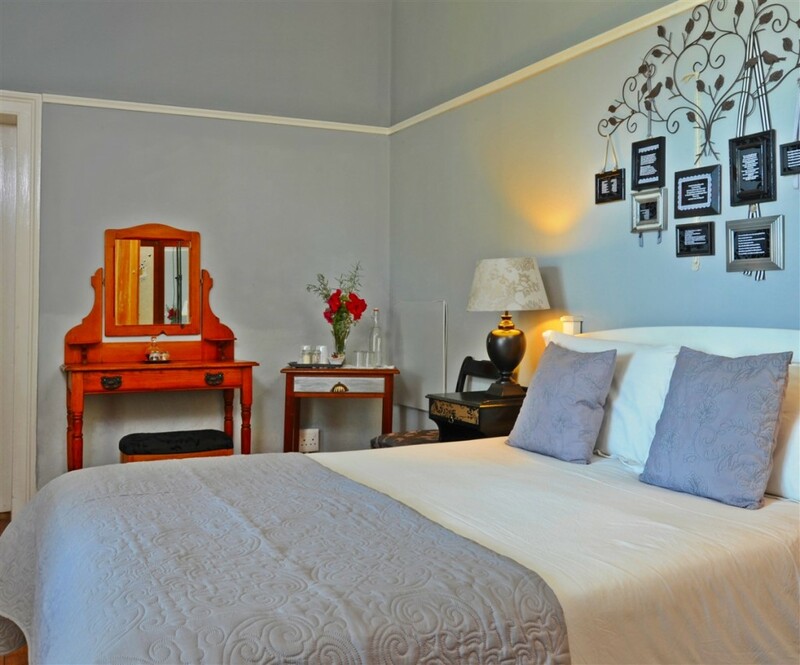 Aan de Doorns guesthouse is an ideal home from home “base” for foreign visitors, families and their friends to take time out to participate in the myriad of activities on offer on Route 62/R43 and explore scenic drives off the beaten track. We are small enough to care and big enough understand the dedication it takes to turn a pleasant stay into a memorable experience. Come share in the tradition of tranquil “farm-living” that will evoke memories of bygone years and carefree childhoods, that we call heritage hospitality! You will find to savour a small sample of the Muskadel produced at Aan de Doorns wine cellar across the road. All rooms are non-smoking rooms. 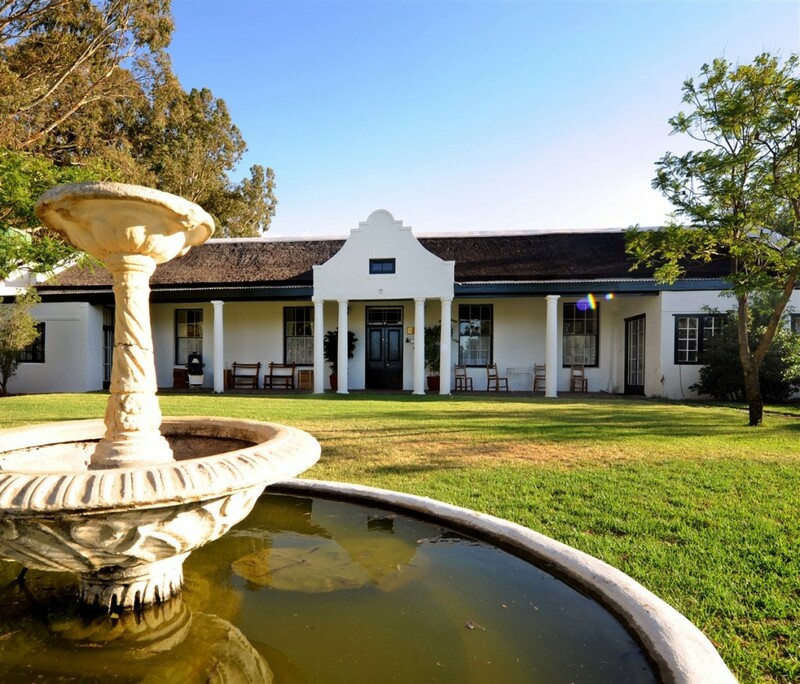 This is your weekend breakaway “home-base”, rest your eyes on the majestic mountains with the knowledge that you are on the doorstep from which to explore the Breede river valley, Routes 62 & 43 not to mention the activities in the immediate vicinity. Our location offer magnificent views of the surrounding mountains to name a few Stettyn, Du Toitskloof, Hex River, Keerom Mountains of which some are part of the Langeberg range. Worcester boasts the largest brandy distillery in the southern hemisphere (tours can be arranged). 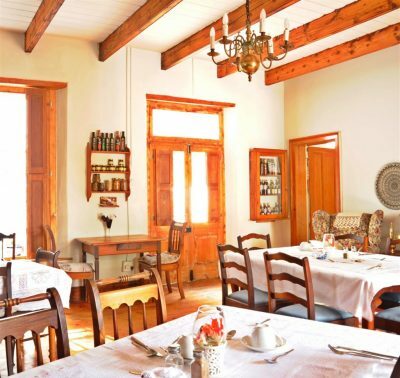 The Karoo Botanical Gardens are worth a visit and has a good restaurant. It is situated close to the Gary Player designed Worcester Golf Club. The Worcester wine route situated in the beautiful Breede River Valley is known for its national wine awards and still offer excellent value-for-money wines, offering a cellar-door experience for the wine lover and tourist. Robertson, Franschhoek, Montague and Tulbagh are nearby and have some world class restaurants and wineries. Hermanus is a one and a half hour journey by car, and is perfect for whale watching, shark cage diving in Gansbaai and beer tasting in Stanford. Cape Town city centre is an easy one and a half hours journey by car, through fantastic scenery.